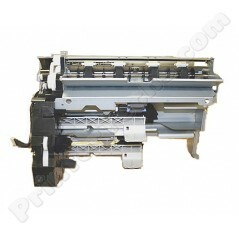 HP LaserJet 8100 8150 paper input unit (PIU). HP part# RG5-4334. This part is sold with a core exchange, you must return your old core to PrinterTechs within 30 days of purchase. Limited availability. Please call for availability. HP LaserJet 8100 8150 paper input unit PIU. HP part# RG5-4334. This part is sold with a core exchange, you must return your old core to PrinterTechs within 30 days of purchase.